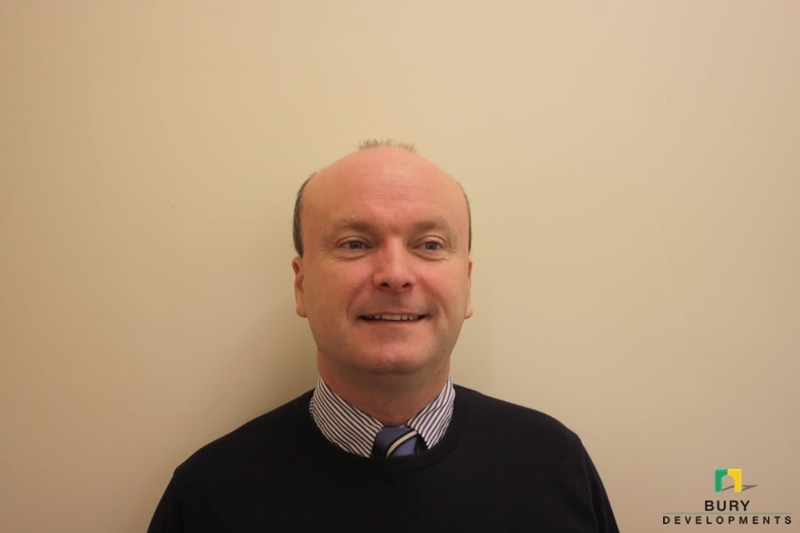 Austin has over 20 years experience in the construction industry, after leaving Framlingham College he started as a trainee quantity surveyor for J Breheny Civil Engineers in Needham Market then moving to Haymills Contractors for a 7 year period. Upon completing his degree Austin took a year out to Travel the World. On his return he worked for 3 years for Bildwell Contractors in Bury St Edmunds then a year with W A Deacon & Sons in Lavenham. Austin then founded Bury Developments Ltd in February 2001. Austin takes a very hands on approach from initial enquiries to project completion ensuring clients requirements are co-ordinated and carried out to the highest possible standard. Matt has spent his working life within the construction industry. Starting work as a Quantity Surveyor for Haymills Building Contractors, progressing to a local Civil Engineering contractor. 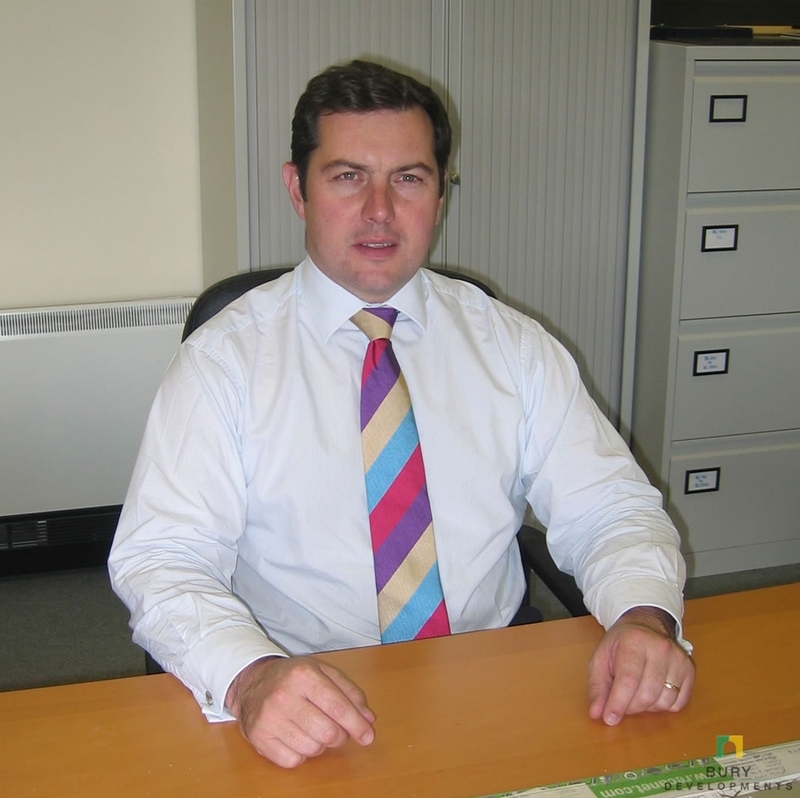 In 1996 Matt joined Clarkes of Walsham Agricultural and Builders Merchants, in the position of Sales and Estimating. Involved mainly with General & Key account sales as well as Estimating, Sourcing and Quoting materials for customer’s individual projects. After a period involved with the creation of a new company importing luxury wall finishes from South Africa. Matt joined Bury Developments Ltd, in the summer of 2007, to take over the role of Buying and Pre-contract preparation. Alex has worked for 40 years in the construction industry. After completing full time college education Alex joined Gerrards in Ipswich as a trainee and then as a site engineer with George Wimpey. Further opportunities took Alex into contract management with A J Gibbons and Livens Construction. In 1992 Alex joined Multiyork Furniture as Property Manager where he gained invaluable experience from a clients perspective. After six years Alex was offered a position as General Manager with Seven Project being responsible for all construction operations. Alex left Suffolk for the Midlands and joined Pettifer Construction as a Senior Project Manager. After a two year spell Alex was offered a Contracts Manager’s position with Symm of Oxford. 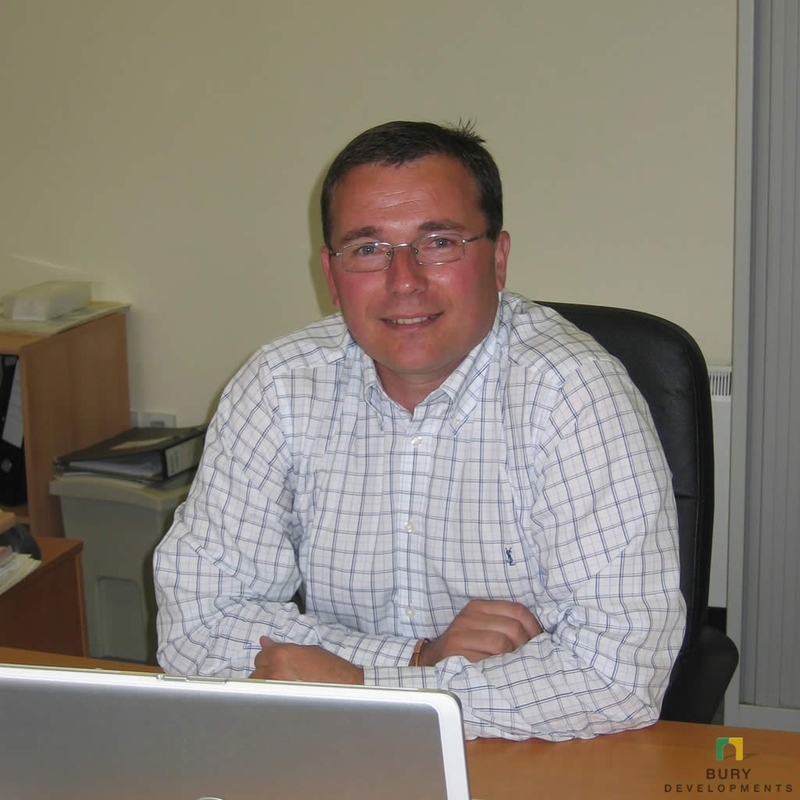 After returning to Suffolk in 2007 Alex had a short spell as Operations Director with Britaniabuild before joining Bury Developments in March 2010 and is responsible for construction and site management issues. 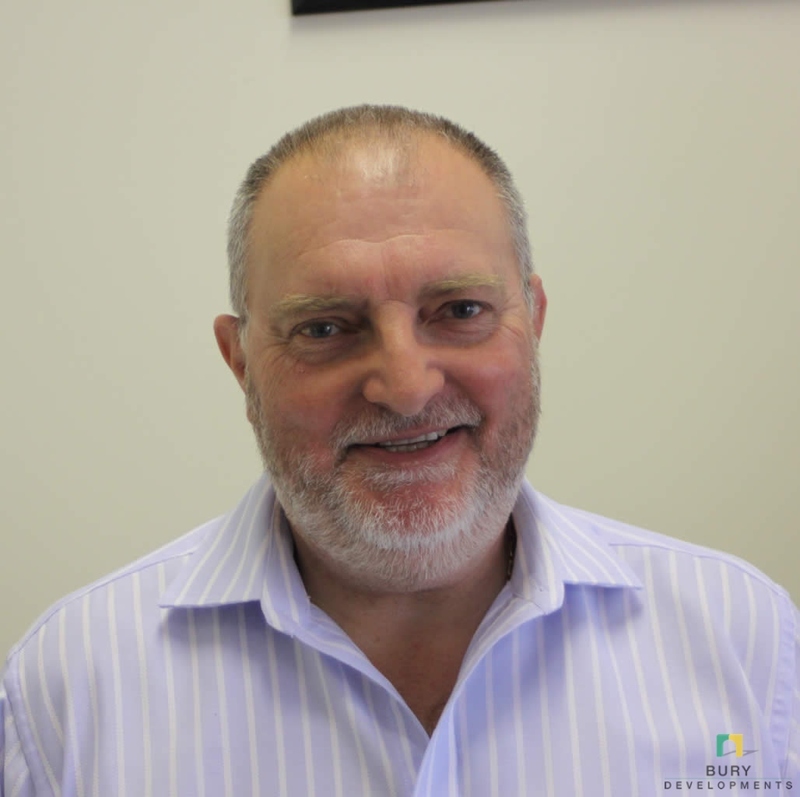 Carl, a Member of the Chartered Institute of Building (MCIOB) and former past chair of the CIOB Suffolk Centre, has now over 30 years working within the construction industry. Starting his career with good foundations Carl started work life as an apprentice Carpenter with Sadler & Sons of Ipswich. As Contracts Manager he is responsible for strategic early planning through to the delivery including all health and safety aspects. His delivery experiences have included a wide range of projects procured under design and build, traditional and partnering methods with project values up to £8m with former companies Barnes Construction of Ipswich and Farrans Construction from Cambridge. Carl promotes an integrated team approach, champions best practice, and promotes sustainable construction initiatives. Gavin has been in the building industry since he left school in 1996. Starting out with a carpentry apprenticeship and then moving into civil engineering. 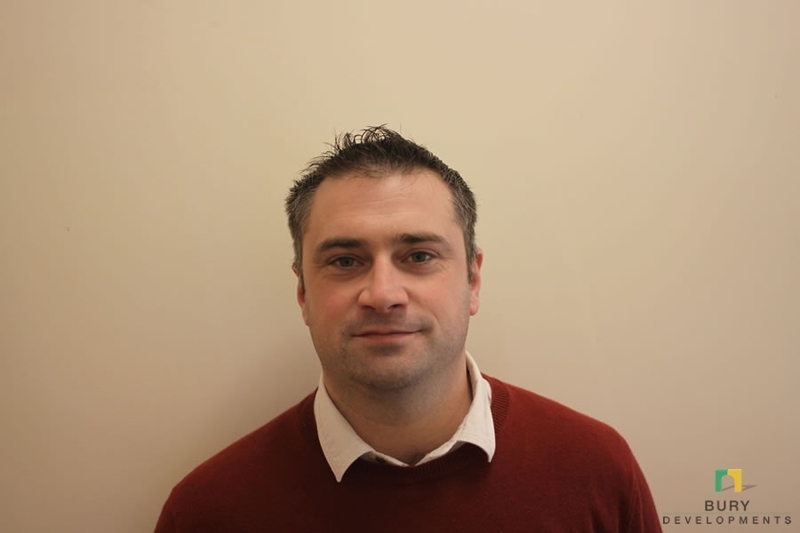 After working in civils Gavin joined Gipping Construction in 2005 as a working foreman. Working through his NVQ’s he was promoted to site manager. Whilst being a site manager at Gipping, Gavin managed a number of sites including housing association, demolition, factory maintenance, civils projects and small works. Gavin joined Bury Developments in January 2017 to manage the small work side of the contracts. This includes maintenance work at Green King, British Sugar and all small building projects. Lisa joined Bury Developments Ltd in February 2002. Through her own business she regularly visits her clients, which include Bury Developments, undertaking all kinds of bookkeeping and accountancy work together with assisting with staffing issues and other administration duties. When Lisa is away from our office, another colleague is ready to step in. Lisa’s experience and diversity of expertise is a valuable asset to the smooth running of the office.